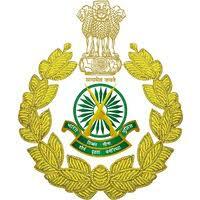 lndo-Tibetan Border Police Force invites online applications from eligible Indian citizens (Male & Female) to fill up the posts of Head Constable (Education & Stress Counsellor), Group-‘C’ (non-gazetted and non-ministerial). Online applications are invited from the citizen of India as defined in Articles 5 & 8 of the Constitution of India for filling up of the following sanctioned vacant post of Junior Assistant in Amalgamated Establishment of Deputy Commissioner, Jorhat. On line applications are invited for the post of Computer Trainee in the Computer and Communication Center of the IIT, Guwahati. These are purely temporary posts meant for imparting on the job training to the selected candidates. 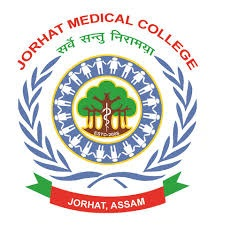 Jorhat Medical College & Hospital. Applications are invited from Indian citizens in Standard Form as published in the Assam Gazette in Part-IX for filling up the following contractual posts for the DBT supported R&D Project entitled, "Generating Awareness and Assessing the Magnitude of Paragonimiasisin Nagaland, Assam, Arunachal Pradesh and Mizoram" at JMCH, Jorhat. 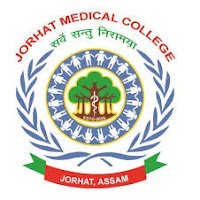 Labels: Jorhat Medical College & Hospital. 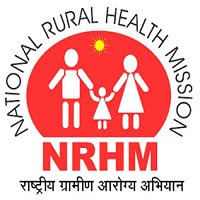 Online applications are invited from the candidates willing to work in mission mode for engagement on contractual basis in the following post under NHM, Assam. Candidates have to apply online in the NHM, Assam website: https://nhm.assam.gov.in. In pursuance of the Govt. letter No ASDMA.100/2017/103 dated 13th, June, 2018 from the Joint Secretary & State Project Coordinator, Assam State Disaster Management Authority, Dispur, Guwahati, Assam, applications are invited from the intending candidates for recruitment to the post of Field Officer (Disaster Management) on contractual basis to be posted at Balijana Revenue Circle and Rongjuli Revenue Circle of Goalpara District. Assam Rajiv Gandhi University of Cooperative Management (ARGUCOM), Sivasagar. Assam Rajiv Gandhi University of Cooperative Management (ARGUCOM), Sivasagar, A State University of Govt. of Assam Recognized by UGC; Member of AIU invites applications from Indian citizens for the following posts of Assistant Professors (Contractual).